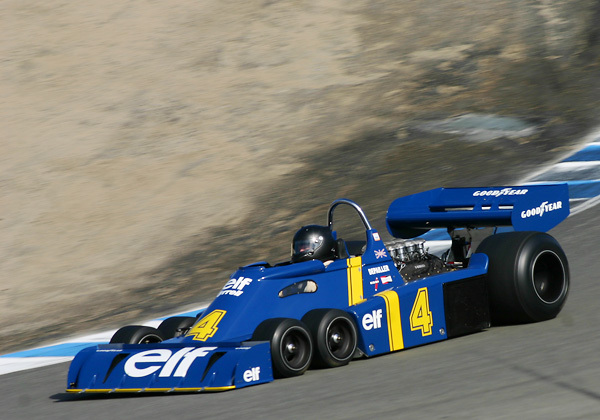 Rudy Junco -- 1976 Tyrell P34 "Six-wheeler"
Junco won the historic F1 event at last year's Monterey Historics in this car. He showed plenty of speed at the Pre-Reunion, but seemed to be using the event for practice and testing. He was credited with 13th after a pit stop during the Group 10 race.